Burning, scorching, searing heat–that’s what new sheriff Kate McArdle felt every time she encountered Silver City’s fire chief, Jake Johnson. Which was often since a rash of arsons was forcing them to work together. 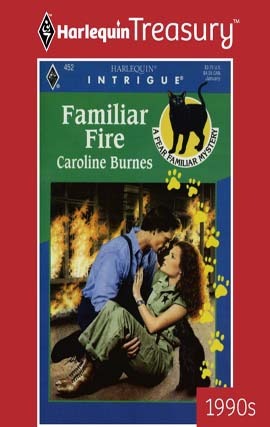 Desperate to identify the arsonist, Kate had even hired a crime-solving cat. 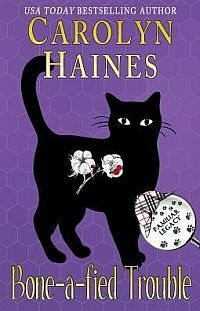 Trouble was, far more than the cat’s name was “Familiar.” Kate and Jake shared a sizzling past–one form which Kate had fled years ago. But now, like a moth to a flame, she’d come home…to a man who’d once chosen a ranch over her. To a man she still loved. And to a man who was not only the fire chief–but Kate’s chief suspect.